Lynn Richards is President and CEO of the Congress for the New Urbanism. As head of CNU, Richards has launched the organization’s Project for Code Reform, which helps meet local governments where they are on their code reform process. Additionally, under her leadership, the organization has released two editions of Freeways without Futures, 25 Great Ideas of New Urbanism and the forthcoming Building Local Strength: Emerging Strategies for Inclusive Development. An internationally recognized speaker and leader on New Urbanism, Richards has presented on a range of topics, including economic development, highway removal and transformation, suburban retrofit, green infrastructure, and New Urbanism trends. Previously, Richards had a long and distinguished career at the US Environmental Protection Agency (EPA), holding multiple leadership roles over 13 years including Acting Director and Policy Director in the Office of Sustainable Communities. She worked with dozens of state and local governments to implement placemaking approaches by developing policies, urban design strategies, and environmental solutions for vibrant, prosperous neighborhoods. Additionally, she produced groundbreaking research on water and land use strategies. Before joining the EPA, Richards worked briefly in the private sector at a consulting firm. She lived and worked in the former Soviet Republics from 1988 to 1995, helping environmental groups increase their organizational and political effectiveness. Richards was awarded a Loeb Fellowship in Advanced Environmental Studies at the Harvard University Graduate School of Design in the 2012-2013 school year. She has a dual Masters in Environmental Science and Public Affairs from Indiana University. Abby joined CNU in March 2008 as the new Administration and Finance Director. Prior to joining CNU, she received a degree in Biology from Bucknell University and worked as the Director of Administration and Programs for the Neighborhood Technology Resource Center, a not-for-profit located in Chicago. In her spare time, Abby enjoys running along the lakefront and traveling home to Maine. Leslie Creane, AICP, is the Program Director for the Congress for the New Urbanism. She was a Senior Consultant with Creane + Company, LLC, served as the Chief of Staff to the Mayor of Derby, CT and was the Town Planner for Hamden, CT for 13 years. 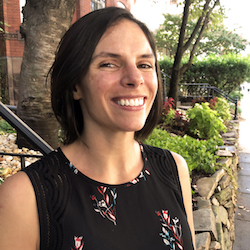 While in Hamden, she ushered in the first municipal-wide form-based code in the State of CT. Leslie has worked as an urban designer, architectural designer, project manager, and housing policy analyst. She has taught Sustainability and Urban Planning, architecture, urban planning and design at the university level. She has also been a teaching fellow at Yale College (undergraduates) and the Yale School of Architecture (graduate). Leslie received a BS from Cornell University and a M.Arch from the Yale University School of Architecture. 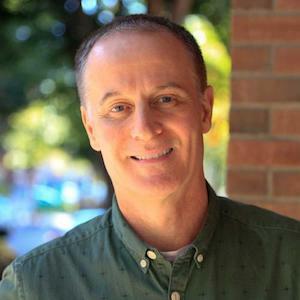 Robert Steuteville is founder and executive director of Better Cities & Towns, a 501c3 nonprofit that seeks to educate and raise awareness for more sustainable and livable communities. Steuteville has been writing, editing, and publishing in the field of New Urbanism since 1996, when he founded New Urban News, a trade publication that covered the trend until 2012, when the name was changed to Better Cities & Towns. He authored or co-authored four editions of New Urbanism: Best Practices Guide, which is used for CNU accreditation. He published the Smart Code Version 9 and Manual. He is leading a team that is writing a form-based code, using the Smart Code as a basis, for the city and town of Ithaca, New York. Steuteville is a signer of the Charter of the New Urbanism, which was unveiled in Charleston, South Carolina, when New Urban News was launched. He participated in the Mississippi Renewal Forum, when new urbanists made plans for 11 communities devastated by Hurricane Katrina. He lives in Ithaca, New York, with his family. Lisa is a longtime writer and editor in the fields of community planning and placemaking. 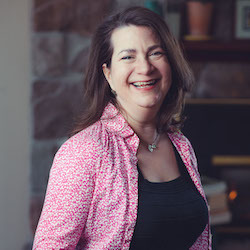 As a freelance writer and as founder and owner of The Cooler Minds, she provided writing and communication strategies to clients such as the Urban Institute, the Metropolitan Institute at Virginia Tech, the National Vacant Properties Campaign, and Smart Growth America, among others. Lisa began her career as a program assistant at the National Trust for Historic Preservation and later served as communications manager for the Surface Transportation Policy Project (now the Surface Transportation Policy Partnership). 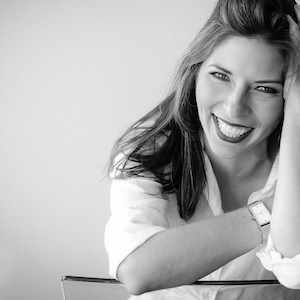 She holds a BFA in Theatre from Southern Methodist University and an MFA in Creative Writing from American University. She is a passionate walker and dedicated if mediocre gardener. Margaret O'Neal is the Manager of Strategic Partnerships at the Congress for the New Urbanism where she amplifies the work of the organization and its members through stronger partnerships in the community development and design fields. 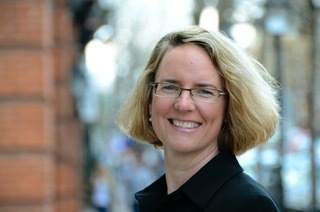 Prior to joining CNU, Margaret spent over a decade advocating for the preservation and reuse of older buildings in various positions at the National Trust for Historic Preservation, most recently managing on-the-ground projects, strategic partnerships, and communications for the National Trust's Research & Policy Lab. Margaret holds a BA in political science from Clemson University and a Masters in Community Planning from the University of Maryland. When not working to build places people love, Margaret enjoys hiking and biking her way around the Metro DC region with her friends and family and enjoying local beer. Jay joined CNU in February 2018 as the Membership Engagement Manager. Jay comes to CNU eager to learn so he can apply his knowledge in his rapidly developing neighborhood. Members are encouraged to barter their NU knowledge for answers to their member-related questions. Prior to joining CNU, Jay worked at DC area non-profit organizations supporting conservation, global health, and poverty reduction initiatives. Most recently, he served as Manager of Website and Technology for the International Women's Forum. Jay began his career in film and television production, working on a breadth of feature films, television shows and documentaries. He holds a BA in Communication and Culture from Indiana University. He lives in the Bellevue neighborhood of DC with his son Jackson, where he is enthusiastically advocating for fresh approaches to placemaking. 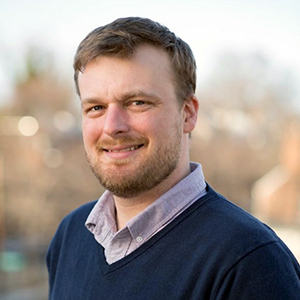 As Membership Engagement Manager, Jay is working to implement member engagement strategies and technology solutions that empower New Urbanists at the local and national level. Angela joined CNU in July 2018 as the Event Planning Manager. 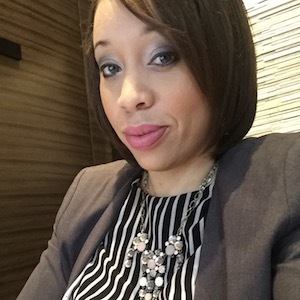 Prior to joining CNU, Angela worked as a freelance Event Manager and also as an Event and Marketing Coordinator at DC area association supporting real estate development companies. Angela, a Maryland native, began her career in broadcasting and marketing until she developed a knack for event management. She loves to learn new things and currently holds a certificate in Graphic Design from Prince George’s Community College, an AAS degree in culinary arts from Stratford University, and a BS in Mass Communication from Frostburg State University (Go Bobcats!). 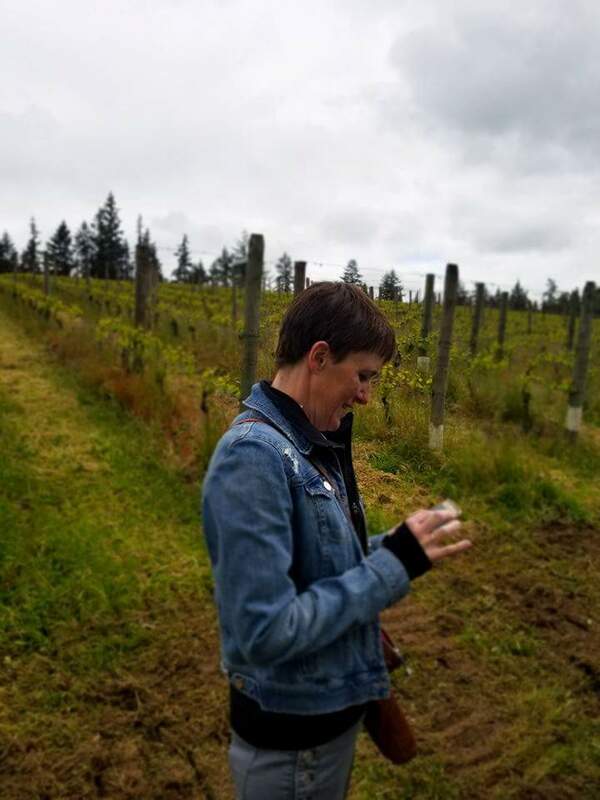 In her spare time, she enjoys spending time with family, hosting dinner parties, crafting new cocktails for her friends to sample, and going to the latest concerts and comedy shows. Mallory Baches is an urban designer with twenty years experience working at the intersection of urbanism and community development. Mallory began her career with Duany Plater-Zyberk & Company and was a founder of the firm’s first affiliate, DPZpacific. She is skilled in master-planning, building schematics, code development, urban revitalization, sustainable visioning, and project management. She holds a B-Arch professional degree from the University of Notre Dame and is completing an MSc in Sustainable Urban Development from the University of Oxford, U.K. She is accredited with the American Planning Association (AICP), the U.S. Green Building Council (LEED-AP), and the Congress for New Urbanism (CNU-A). She was named a member of the 2013 Next Urban Vanguard class by Next City, is a member of the Placemaking Leadership Council of the Project for Public Spaces, and is an active member of both the Carolinas and Savannah Chapters of the CNU. She lives in the New Urbanist community of Habersham in Beaufort, SC. Ben Crowther manages CNU’s Highways to Boulevards and Freeways Without Futures initiatives. He first encountered New Urbanism while conducting research for his doctoral dissertation on architecture, community, and street design in the Roman empire. Ben holds an MA in Humanities from the University of Chicago and BA in Classics from the University of Massachusetts at Amherst. He is currently a PhD candidate at the University of Texas at Austin.